Immortal narrates the tales of radiant and glamorous lifestyle inscribed in the gourmand chords of almond that romances the sensuously rich Jasmine. The elegant scent subtly transforms into a bold and mysterious fragrance leaving a mark of its victory. The fragrance exudes an air of confidence and poise, highlighting the bitter-sweet nature of cocoa, smoothness of tonka beans and vanilla and a precious-woody scent of sandalwood. 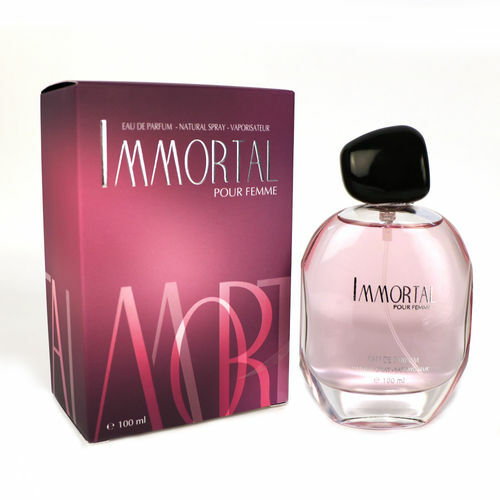 This limited edition Jass Immortal Eau De Parfum is specially designed to for women and announces its arrival in a luxurious bottle.